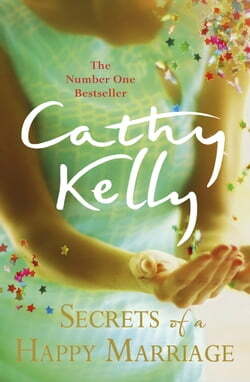 Number One bestseller Cathy Kelly returns with a sparkling tale of family, friends, and marriages in trouble, told with her trademark Irish wit, warmth and wisdom.It's a very special birthday party, a chance to get family and friends together and raise a glass in celebration. And no one throws a... read more party like the Brannigans.For Bess, hosting the lavish weekend at Lisowen Castle to celebrate her new husband's birthday is a chance to show the world how far they've come. Yes, Ed may once have been the poor boy from the village, but look at him now. But who knew joining a new family could be so difficult?For Ed's daughter Jojo, having a new stepmother was never going to be easy, especially when the memory of your mother is trampled at every opportunity. And Jojo's dream of a family of her own just seems to get further away.For Cari, a family get-together is another chance for everyone to remember how things went wrong at her wedding. Three years on, she still hasn't dared trust a man since.And then there's Faenia, who last saw Lisowen and Ireland nearly forty years ago. Is it finally time for the runaway to come home?It's going to be quite a party.